Catwalk grating walkway, also know as galvanized steel bar grating, the most strong and durable metal grating products. They are made from the mild carbon steel or stainless steel materials. We provide a full solution of 19-w-4 bar grating, press locked grating,heavy duty grating, steel stair treads,plank gratings,safety grating, trench cover,etc. All the gratings are extremely strong and durable for all the bearing application. And all grating products are fully recyclable. Due to the extremely strong and durable for all the bearing application,catwalk grating walkway has become the most popular grating in the markets.The stability makes them have a much higher performance in the application. We also can shear or form the steel gratings to any specification or desired shape. Because of those excellent characteristic,the catwalk grating walkway can be widely used in flooring,deck,walkway,platform, decoration,etc. 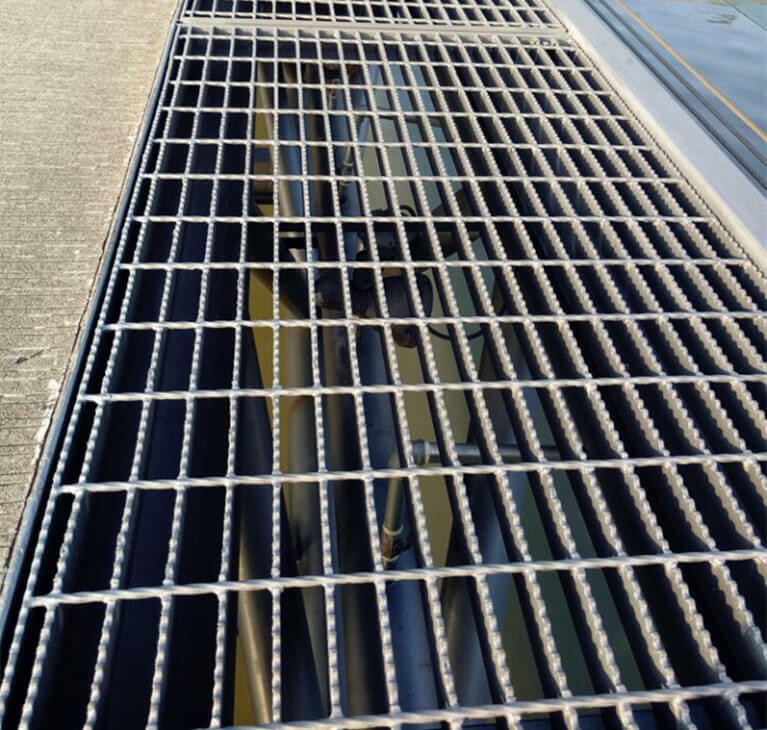 Catwalk grating walkway is available in a variety of bearing bar thicknesses,depth and spacing according to the applications and loading requirements.They are also available in either smooth top or serrated of anti slip grating. As one of leading manufacturer and fabricator of electro forge welded steel grating in China, we supply a variety of sizes for shipment in panels or other specs. Catwalk grating walkway is widely used in flooring, catwalk, mezzanine,decking, stair tread, fencing, ramp, dock, trench cover, drainage pit cover, maintenance platform, wash rack, ventilation screen, storage rack, window and machinery safe guards, workshop, motor rooms, trolley channel, heavy loading area, boiler equipment and heavy equipment area.